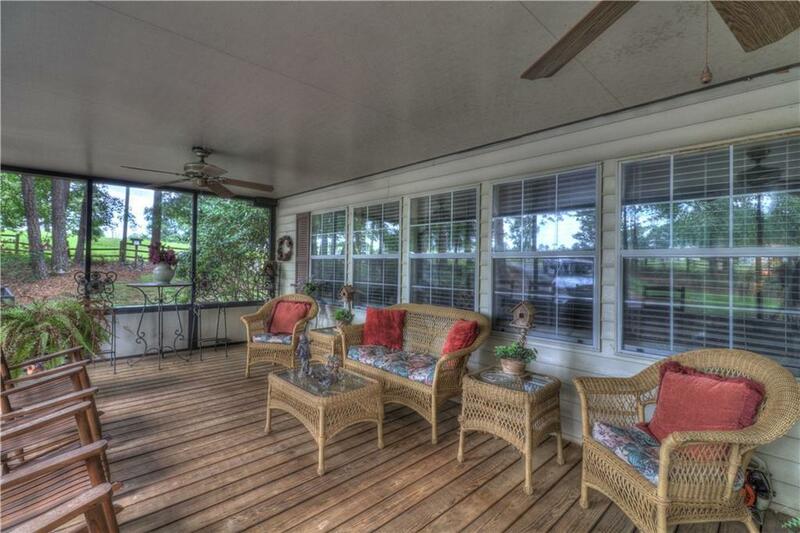 This beautiful farms main house has 4 bedrooms w/3 living rooms, 3 sun rooms, 2 screened in porches on 33.73 acres. 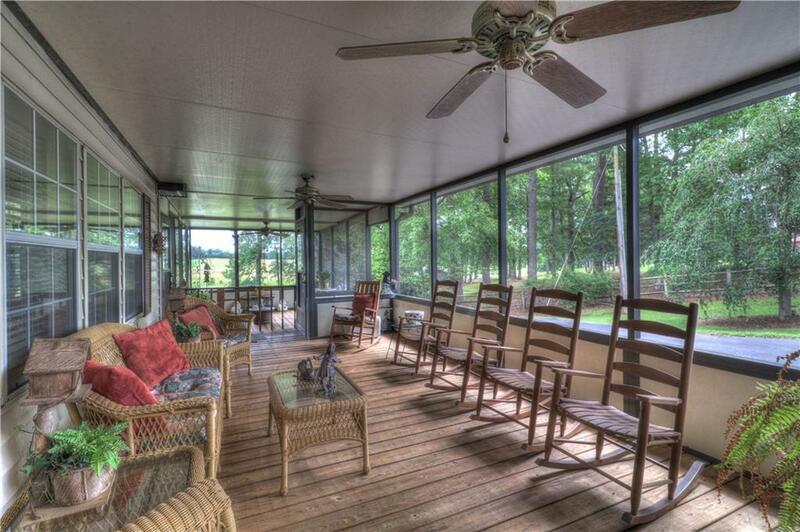 Sun rooms have large windows overlooking the ponds. 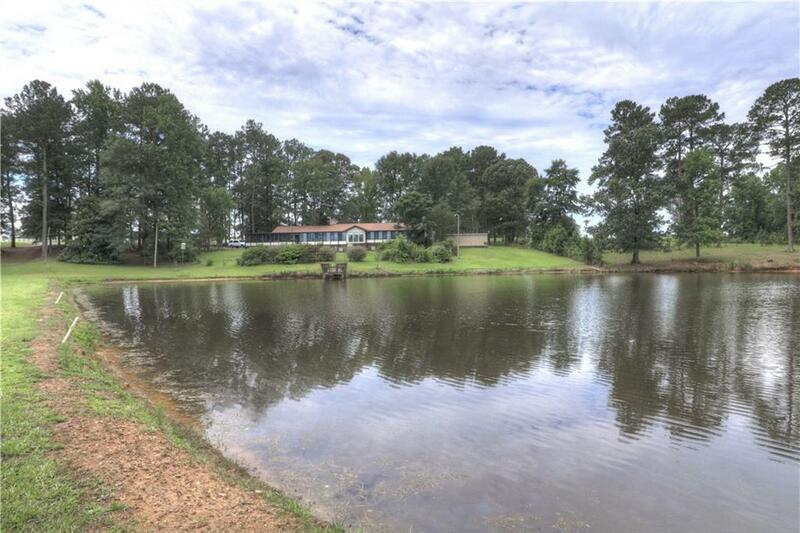 The property also has a large 32'X150' - 9 bay garage/barn, 2 bedroom/2 bath apt, 1 bedroom/1 bath duplex, outdoor cook shed, 4 stall horse barn,dock house, utility buildings & more. The ponds are stream fed & stocked. 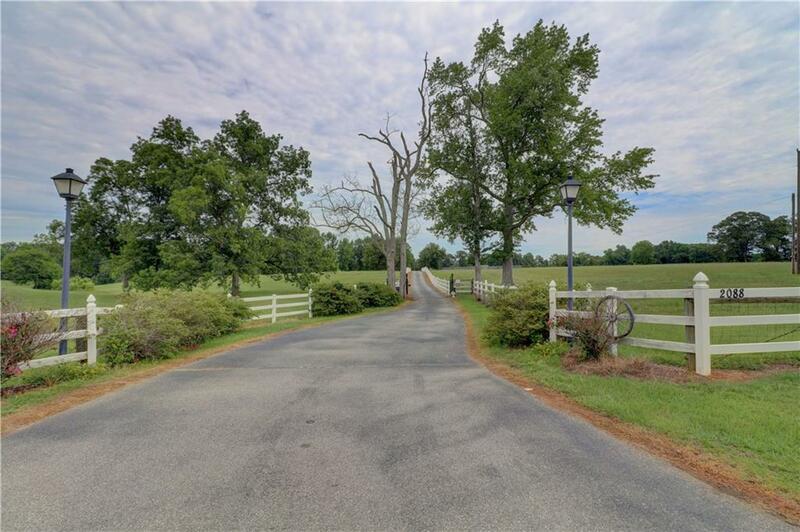 Most of the property is fenced with ~725' of road frontage w/ beautiful white fencing & gated entrance. Conservation - buyer must agree to conservation transfer.